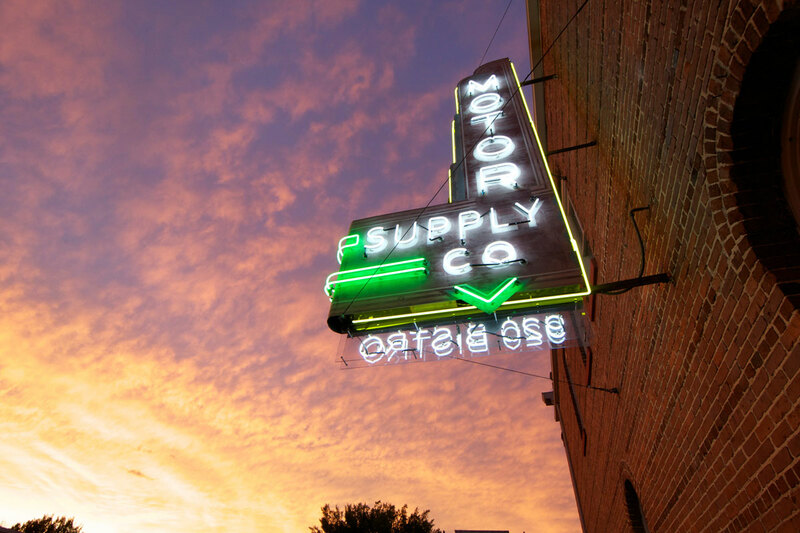 Motor Supply has been a local favorite since opening in 1989 as one of the first restaurants in the historic Congaree Vista. With fresh, local food and daily changing menus, Motor Supply’s cuisine is as unique as its building – a renovated engine supply building from the late 1800s, now listed on the National Register of Historic Places. The original Motor Supply neon sign still hangs on the exposed brick outside the restaurant, greeting customers today.